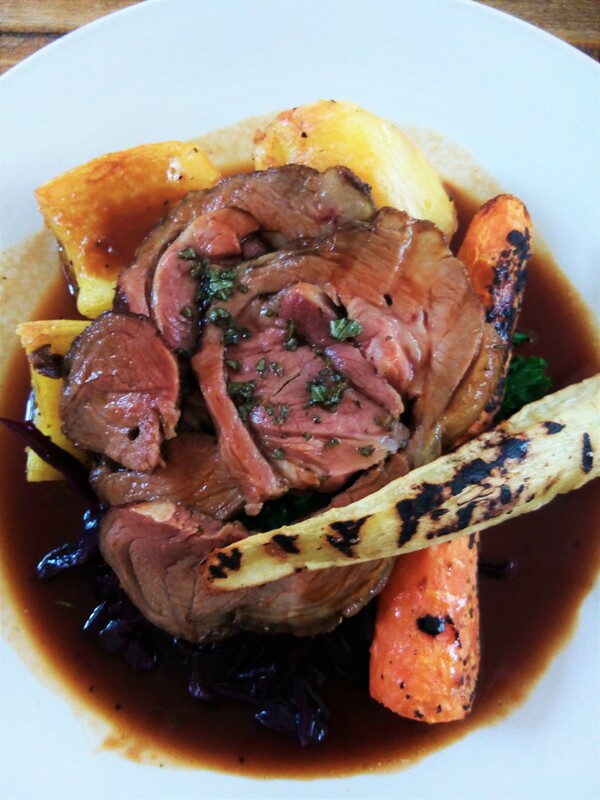 An Easter miracle – a great Sunday roast! My grandmother was from Cornwall, so her cooking, for good or ill, was based on the traditions she learned in England as a young woman. And my mother learned from her, so many of those traditions were passed down, including the Sunday roast (which was always roast beef in our house). When I started traveling to the UK, I was looking forward to replicating that meal — rare roast beef (sliced thin, mind you), served with Yorkshire pudding (properly baked in the pan drippings while the roast rested before carving). And until today, I’ve been disappointed. Sunday roasts outside the home seem to come in two styles: the pub lunch and the restaurant lunch. The pub lunch (frequently priced at £9.99) seems to be a close relative of the US all-you-can-eat buffet, with the emphasis on cheap and filling, featuring tough, overcooked meat and mushy vegetables (not just peas). The restaurant lunch is a starchier affair, more expensive, and while cooked and served with more attention, still not what it should be. Today, though, was just what I’ve been looking for! 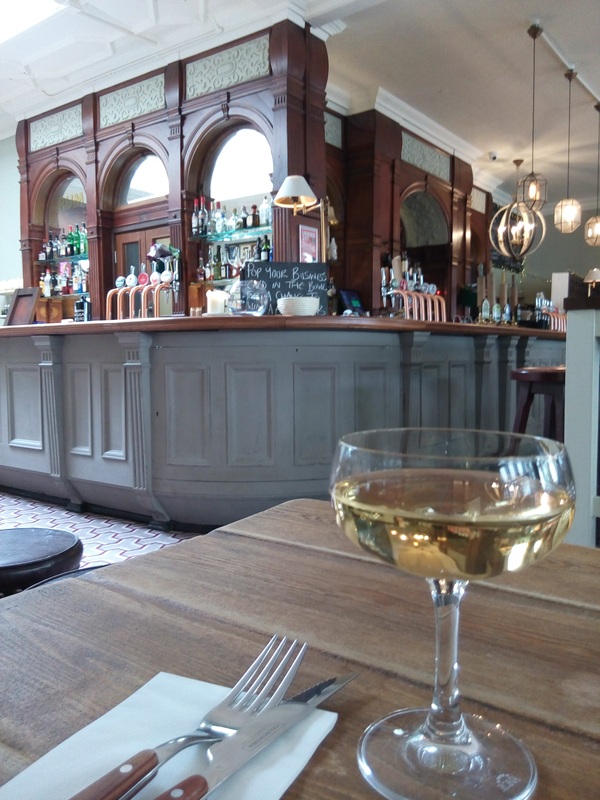 At the Lillie Langtry Pub in West Brompton, I had the Sunday roast of my dreams. Because it was Easter, I went for the roast lamb, not beef, and it was delicious. Spit-roasted over a charcoal pit, the meat was perfectly medium rare, with nicely charred fat on the outside. The vegetables were grilled over the same coals, and served al dente, with nice char marks from the grill. And the atmosphere was very nice… there were folks eating who appeared to be locals, including some children, but it was relatively quiet (for a pub) and I could appreciate the food in peace. I’ll be back next week for the roast beef! Happy Easter! Any chocolate bunnies to be seen? Next Next post: Ramsay’s Restaurant Deserves the ‘F’ word — Fabulous!